The Valspar Corporation, a leading global coatings company, announced today that it has agreed to acquire a significant majority of the share capital of Huarun Paints Holdings Company Limited (Huarun Paints), one of China’s largest independent coatings companies, from Champion Regal, a Hong Kong based investment company. Founded in 1991, Huarun Paints has grown to become one of China’s leading domestic suppliers of wood and furniture coatings and a rapidly growing supplier of architectural coatings. Huarun Paints achieved sales of approximately $180 million in 2005, primarily through its focus on the development of an extensive network of distributors and exclusive retail paint stores throughout China. The cash purchase transaction is expected to close by the end of July and to be slightly dilutive to Valspar’s earnings in fiscal years 2006 and 2007. Huarun Paints Holdings Co.,Ltd. is a large-scale group company covering the trades of chemical painting, metal package, hardware and art ware, trading, and painting engineering, etc., with its headquarters located in Hong Kong, China. Among the companies of Huarun Group, China Guangdong Huarun Paints Co. Ltd. occupies the principal status. Originally established in 1991, it is a high and new tech enterprise specialized in the research and development, production and sales of the series products such as high class furniture painting, water born paints, architectural decoration and fitment paints and adhesives, etc. Growing up in the “Hometown of Paints of China”, China Guangdong Shunde Huarun Paints Co. Ltd. has become the leader in the painting industry in China for years. Headquartered in Minneapolis, MN, our diverse array of products makes us one of the most complete suppliers anywhere, and the sixth largest paint and coatings company in the world. Please visit our products page to learn more about a specific Valspar offering. State-owned Shenhua Group's Ningxia affiliate has teamed up with Royal Dutch Shell and South Africa-based Sasol to build two coal-to-liquids plants in the northwestern autonomous region with an investment of up to US$12 billion. The plants will help enhance energy security and enjoy good market prospects because of soaring oil prices, analysts said. Shenhua Ningxia Coal Industry Company, a subsidiary of the biggest coal company in China, yesterday signed a joint study agreement with Shell Gas & Power Development BV to build a facility to convert coal into oil products such as petrol and diesel. The new plant, to be set up at the Ningdong coal production base, will cost US$5-6 billion, said Lim Haw Kuang, executive chairman of Shell Companies in China. The study is expected to be completed by 2009, and the plant will be able to yield 3 million tons of oil a year, or 70,000 barrels per day (bpd) by 2012, Shell said. The plant will use Shell's indirect coal liquefaction technology, which turns coal to gas and then liquefies it into fuels. Another similar project is also being planned in Ningxia between Shenhua and Sasol, one of the global leaders in coal liquefaction technologies. Shenhua last month signed a co-operation agreement with Sasol to develop an 80,000 bpd coal-to-oil plant in Ningxia. While the two Ningxia plants adopt the overseas indirect technology, Shenhua will test its own direct technology which turns coal into oil products without the gasification process in the Inner Mongolia Autonomous Region. The Chinese government has just issued a circular on regulating the coal-chemical industry, urging local governments to tighten control of new projects. The government will not approve coal Liquefaction projects with an annual production capacity under three million tons, methanol or dimethyl ether projects under one million tons and coal-to-alkene projects under 600,000 tons, said a circular released by the National Development and Reform Commission (NDRC) on Friday. Experts said the move aims to contain possible overheating in the coal-chemical industry. According to the NDRC, constantly rising oil prices on the world market have prompted the development of the coal-chemical industry in trying to find alternatives for petroleum in China. China's methanol production capacity reached 5.36 million tons by the end of 2005. According to incomplete statistics, current methanol production capacity under construction is nearly nine million tons, with over 10 million tons under planning. As the market has not been fully developed, when all the projects go into production, a surplus capacity is inevitable, said NDRC. According to the NDRC, as the technology is still in experimental phase, coal liquefaction projects should not be approved until a national development program for the industry is completed. Coal-chemical projects must meet environmental requirements and those that fail to meet the safety requirements in transportation should not be allowed, said the NDRC. In the five-year period from 2006 to 2010, China will encourage the development of coal-based chemical fertilizer. The industries of coal liquefaction and coal-made alternatives for petroleum should be developed steadily while the traditional coal-chemical industries that have seen overproduction such as calcium carbide and coke should be kept under control. The ceremony for launching the acrylic acid/ester project in Zhenghe Group was held in Guangrao county of Shandong province 山東省広饒郡 on July 11th. It is one of the 9 major projects in ChemChina Group Corporation in 2006. Zhenghe Group in Guangrao, Shandong province has clinched an agreement with Shanghai Huayi Group上海華誼集団公司 on construction of a joint venture rated at 110 kt/a acrylic acid and 160 kt/a acrylate in the Economic Development Area of Guangrao, which is deemed currently as the largest in China acrylic project. Established up in 1975, Zhenghe group (former Shandong Guangrao Petrochemical Industry Group　山東広饒石化) is an enterprise group registered by Shandong Industry & Commerce Administration Bureau, and checked and approved by China Industry & Commerce Administration Bureau, and one of 100 strongest enterprises in the chemistry industry of China and in the industry of Shandong Province and one of the 136 important enterprise groups in Shandong Province. As the core enterprise of the whole group, Zhenghe Group Co., Ltd. is large stock enterprise group for many industries, including petrochemical and fine chemical industries, rubber product, green environment protection building material, thermal power, trade and service, and it consists of many companies, Such as Shandong Zhenghe Steel & Plastic Sectional Material Co., Ltd., a hi-tech enterprise of Shandong Province, (Sino-German joint venture)Dongying Zhenghe Woodenware Co., Ltd., the largest middle and high density board production base in China, Shandong Zhenghe Thermal Power Co., Ltd., Dongying Kuoke Rubber Industry Co., Ltd., Qifeng Plastic Woven Co., Ltd., Guangrao Chemical Raw Material Plant, etc. and a technical development center of provincial class. Sources say Sinopec has replaced CNPC to become the Chinese partner of Kuwait in the Nansha refining project. Kuwait Energy Minister Sheikh Ahmad Al-Fahad Al-Sabah said in December, 2005 that the two countries had agreed to study setting up of a joint venture refinery between Chinese major PetroChina and a unit of state-run Kuwait Petroleum Corporation (KPC). He said that the capacity would likely be 300,000 to 350,000 bpd, with the same forecast investment. PetroChina, the listed vehicle of CNPC, China's largest oil company, originally signed a preliminary agreement with Kuwait on the project, but due to the dominance of Sinopec in the southern market, Sinopec successfully lobbied the government to get involved, Liang Chengyu, the president of the Guangdong Chamber of Oil and Gas, told Interfax in April. Lu Jianmin, a spokesman for Sinopec Guangzhou Petrochemical, told Interfax last month that the company, Sinopec's main refining unit in southern China, had submitted the initial feasibility studies for the project to the central government in May. China and Kuwait signed a memorandum of understanding for the refinery in southeastern China's Guangdong Province last December. PetroChina Co., Asia's most profitable company, and Kuwait may build a planned joint venture oil refinery in the Pearl River Delta area, Guangdong Province's Executive Vice Governor Zhong Yangsheng said. The Guangdong government will soon release the location of the refinery, Zhong told reporters at the Boao Forum for Asia in Hainan Province on Saturday. He declined to provide further details. The Pearl River Delta region accounts for about a third of China's exports. China, the world's largest oil consumer after the U.S., is encouraging local oil companies to expand refining capacity to meet the nation's soaring demand for energy. China's oil consumption this year may rise 5.5 percent according to the International Energy Agency forecast April 12. Kuwait's Oil Minister Sheikh Ahmad Fahd al-Sabah visited Guangdong and met with PetroChina officials to talk about the refinery project in December. Persian Gulf oil producers such as Saudi Arabia, Kuwait and the United Arab Emirates are investing in Asian oil-consuming countries, seeking to tie their oil production with demand in countries such as China and South Korea. The refinery planned by Kuwait will have the capacity to process as much as 400,000 barrels a day of crude oil, the state-run Kuwait News Agency reported Dec. 5, citing al-Sabah. Kuwait, the world's fourth-largest holder of oil reserves, will supply the crude, the report said. China wants to raise its oil refining capacity by 25 percent in the next five years to meet rising demand for motor fuels and chemical raw materials. It may increase its crude oil processing capacity to 355 million metric tons by 2010 from 285 million tons in 2005, the National Development and Reform Commission, the nation's top economic planning agency, said on its Web site March 16. To be Located in Nansha(南沙), this new approved refinery is different with the existing refinery of Guangzhou Petrochemical Co (GPC). GPC has a existing 7.7 million tonne/year refinery in Huangpu(黄埔), and which is expanding capacity to 12 million. Sinopec's Nanshan Petrochemical plant, which was planned for the Nansha District of Guangdong province, is to be relocated for fear of possible pollution, according to Wang Yang, the Guangdong provincial governor. A Sinopec spokesman told Xinhua that the decision to relocate was made after careful consideration. 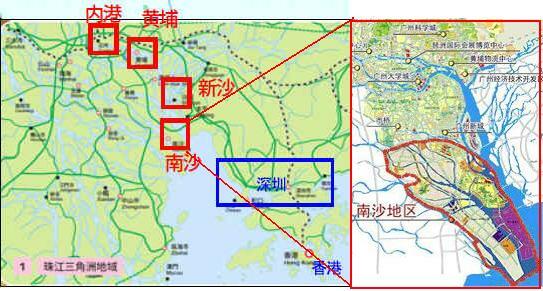 Nansha District is near to Hong Kong, where the people have long opposed the refinery plan. Guangdong province, the most economic developed region in China, has been suffering from air and water pollution in recent years. In 2008, the rate of acid rain there amounted to 50 percent. Wang has not announced the new location but said Sinopec has already selected a new one. Market rumor goes that Zhanjiang 湛江, a coastal city in Guangdong province, may be the new location.The Nansha Petrochemical plant, a joint venture between Sinopec and Kuwait National Petroleum Company (KNPC), is designed to have a refining capacity of 15 million tons/year and ethylene production capacity of one million tons/year. The refinery received approval from National Development and Reform Commission in 2006 but construction has yet to begin. The central government has approved a mammoth US$5 billion joint venture oil refinery project in Guangdong Province in its latest effort to reduce reliance on imported oil and chemical products. The project will be in Nansha in Guangzhou. Top Asian oil refiner China Petroleum & Chemical Corp, or Sinopec, and Kuwait Petroleum Corp will form the joint venture. "The final document for approval from the central government is expected to come as soon as late today (Tuesday)," an official at Sinopec's Guangzhou branch said yesterday. The venture will become the largest Sino-foreign joint venture in terms of investment scale, overtaking a US$4.3 billion project -- also in Guangdong -- by China National Offshore Oil Corp and Royal Dutch Shell Plc. The Nansha project is designed with an annual oil refining capacity of up to 15 million tons and a further 1 million ton production capacity of ethylene, a key petrochemical building block. "For such big scale projects, China still needs to partner with foreign firms for help in both capital and technical support," said Yin Xiaodong, a Citic Securities Co analyst in Beijing. "And the 1 million ton ethylene plant will become the largest of its kind in China." Major ethylene projects in China already include the CNOOC-Shell venture of 800,000 tons in Guangdong, a Shell-Sinopec venture of 800,000 tons in Shanghai and a BP Plc-Sinopec venture of 900,000 tons in Guangdong. This month, German chemical giant BASF AG and Sinopec said they will increase annual ethylene capacity by 25 percent to 750,000 tons at a venture in Nanjing, Jiangsu Province. China's dependence on ethylene imports rose to 57 percent last year from only 22 percent in 1990 thanks to robust demand from manufacturers. The country plans to add more than 10 million tons of ethylene capacity by the end of 2010. The plan calls for expanding existing plants and building new ones, according to the National Development and Reform Commission. The country produced 7.55 million tons of ethylene last year. Dow Chemical Company, the global leading provider of innovative chemical, plastic and agricultural products and services, had participated in the first-phase negotiation on the 15-million-ton oil refining project in southern China's Guangdong province, as disclosed by one of Dow's high-level officials. He also revealed that four parties, including Sinopec, Kuwait Petroleum Corp., Dow Chemical and another western oil company unnamed, were likely to cooperate in the project, which has the refining capacity of 15 million tons annually and annual output of one million tons of ethylene. 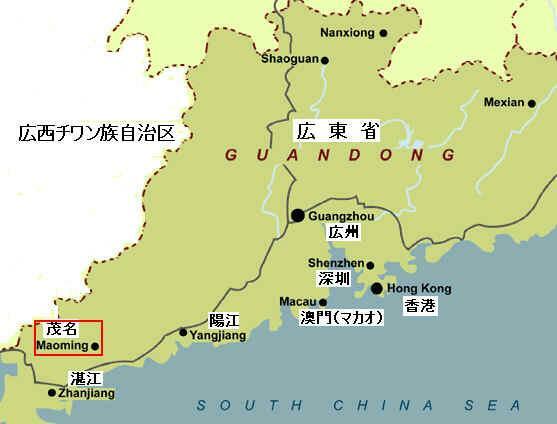 Recent information shows that the huge refinery may be built in Nansha of Guangzhou, capital city of Guangdong. The project is beneficial to the participants. With the advantage of crude oil supply, Kuwait Petroleum can become engaged in China's oil production. Dow's desire of being involved in China's ethylene production and refinery can be realized by providing advanced technologies and capital. Sinopec, with doubt, will consolidate its status in southern China. Guangdong government is working to push an oil refinery project costing 5 billion US dollars to be built in Guangzhou's Nansha district. According to information from the Guangdong Development and Reform Commission, the project has been submitted to central government for approval. Since last year, Kuwait National Petroleum Company (KNPC) has been discussing with China the construction of a large refinery with an annual output capacity of 15 million tons. Officials said that if the project is approved it will become China's largest joint venture. Insiders pointed out that the giant refinery will not only bring over an enormous economic profit, but also be beneficial to Guangzhou citizens. The expanded 450 000t/a PTA (purified terephthalic acid) production line conducted intermediate handing-over on the newly built No.3 PTA unit in Sinopec Yangzi Petrochemical Company Ltd.(YPC), Nanjing of Jiangsu province on July 15th, 2006. After the completion in September 2006, the PTA capacity in YPC will reach 1.05 million t/a from existing 600 000 t/a and YPC will become the largest PTA production base in China. On November 18th, 2006, the 450 000 t/a PTA (pure terephthalic acid ) production line put on stream in Yangzi Petrochemical Plant in Nanjing of Jiangsu province, signaling Sinopec Yangzi Petrochemical Co., Ltd.(YPC) become the first manufacturer with PTA capacity of over 1 million t/a in China. Qualified PTA products have already been produced from the refinement unit. With a total investment of nearly RMB2 billion, the 450 000 t/a PTA project adopts the patent technology of INVESTA Corporation of UK and was jointly designed by Sinopec Shanghai Engineering Incorporation, Sinopec Shanghai Engineering Company Ltd. and Nanjing Yangzi Petrochemical Design & Engineering Co., Ltd. Before expansion, PTA design capacity in YPC is 600 000 t/a. Added by the newly built 450 000 t/a PTA production line, PTA capacity in the company today reach 1.05 million t/a. Sixteen people were killed and 29 others injured with another three still missing in Friday's chemical plant blast in east China's Jiangsu Province, local government sources said Saturday morning. The sources said all of the injured, including the chairman, general manager and vice general manager of the chemical company, have been hospitalized. More than 7,000 local residents who were evacuated from the blast site have returned to their homes as local environmental protection authorities said by Friday night, the toxic gas, chlorine, from the blast had dispersed and had little influence in the air. Preliminary investigation showed improper operation by workers was mainly to blame for the accident. Four people were confirmed injured with no death reported at a chemical plant blast that occurred on Friday morning in Shanghai, local government sources said. The big fire caused by the explosion has been extinguished. Four people were injured in the blast, which caused thick smoke and a big fire. They've all been hospitalized, the sources said. The blast's influence on environment of nearby areas is being monitored and cause of the accident is under investigation. Our main markets are Asia Europe and USA. We are producting more than thirty fluorochemicals with two series: inorganic fluorine products and fluorinated aromatics. Our main products include Anhydrous Hydrogen Fluoride (10,000MT/year), Hydrofluoric acid (3000MT/year), Fluorobenzene (3500MT/year) and Ammonium Bifluoride, Potassium Fluoride, Sodium Bifluoride, 2,4-Dichlorofluorobenzene, o/p/m-fluorotoluene, 4-Bromo-2-Fluorotoluene, 4-Fluoronitrobenzene, etc. After more than 30 years experiences in the productions of fluorochemicals, we have grown continuously during last years and today we are the biggest producer of fluorobenzene in the world. As a consequence of the great reliability the company achieved, we have won the high reputations on the market for our high quality products and the best possible services. The company keeps quality mottoes of Socking perfect providing satisfying products and service to customers and quality targets of Ranking fast in china, catching up with the advanced level in the world. We have passed through the ISO9001 quality control system certification and received the certification of ISO14000 Environment Control System. Besides our own R&D and QC. We have very close cooperation with several Universities for developing the new items and meeting any requirements from our customers. With good facilities of road, railway and air transport. The company is just beside the Nation Road No.204, Sheyang Port in the east and 40km away from Yancheng airport and Xinchang railway 20km from the entrance of the Ning-Jing-Yan highway. These convenience traffic provides good condition for the company's growing up. Guilun, in charge of PetroChina's synthetic rubber technology, at the 47th annual meeting of the International Institute of Synthetic Rubber Producers in Barcelona. The new facilities include one 150,000-ton plant in Sichuan 四川省, one 200,000-ton plant in Fushun, Liaoning 遼寧省撫順, and 100,000-ton and 80,000-ton facilities in Dushanzi in Xinjiang 新疆 独山子, said Wang. The International Finance Corporation, the private sector arm of the World Bank Group, today signed a financing package for China's Xinao Group to support the conversion of coal into an environmentally friendly fuel that can be used for household cooking and heating or replace diesel as a fuel for transportation and power generation. The coal-to-liquids technology used by the Xinao Group will help to improve indoor air quality by replacing the burning of raw coal and wood in stoves - a common practice among hundreds of millions of China's poor and one that is responsible for hundreds of thousands of deaths each year. IFC is investing in a Xinao subsidiary by buying shares worth up to $10 million and granting a $40 million loan for the plant that will convert coal into dimethyl ether (DME), a fuel significantly cleaner than coal. The project will be one of the world's largest producers of DME from coal and will address China's energy security concerns by promoting development of a fuel based on the country's abundant domestic coal reserves. "This project will help develop new sources to meet China's energy demand and will do so in an environmentally friendly way," said Lars Thunell, IFC's Executive Vice President. "Replacing coal with a clean fuel for household cooking and heating has clear health benefits." Over 1 billion Chinese suffer from harmful emissions due to the burning of solid fuels in their homes. More than 1 million die every year from air pollution and more than 60 percent of these deaths are the result of indoor smog. Xinao asked IFC to arrange the full debt package needed for this complex project, which, in addition to IFC's financing, includes a loan of up to $140 million from commercial banks. Xinao will build petrochemical facilities with a total production capacity of 600,000 tons per annum (tpa) of methanol from coal, which will then be used to produce about 400,000 tpa of DME. The project utilizes China's abundant and relatively low-cost coal reserves in Inner Mongolia, one of the poorest and most underdeveloped provinces in China. The burning of DME from coal in cooking applications emits up to 40 percent less carbon dioxide (CO2) than the direct burning of coal. DME production also helps to reduce global warming as it does not produce black carbon, which contributes two to three thousand times more to the problem than CO2. "IFC is pleased to be able to support Xinao, a private sector company, to take the lead in implementing this innovative solution to China's energy challenges," said IFC's Thunell. "As the private sector plays a larger role in China's economy, it is important that leading private companies adopt sustainable business strategies." IFC helped to evaluate and quantify the environmental and social aspects of the project and Xinao relied on IFC's due diligence to confirm the technical and commercial viability of the project. "We have benefited enormously from IFC's expertise in the petrochemical sector and have incorporated many of their recommendations into the project concept and configuration," said Mr. Wang Yusuo, Xinao's Chairman. "With this project, Xinao is developing a clean energy source that has been identified by the Chinese government as a strategically important alternative to polluting fuel such as coal or diesel." Earlier this year, IFC and Xinao Gas partnered with banks and equipment suppliers to catalyze about $150 million in energy-efficient equipment financing in China and achieve 5 to 10 million metric tons of CO2-equivalent greenhouse gas emission reductions through the China Utility-based Energy Efficiency Finance Program. In 2004, IFC provided a $25 million loan package to help Xinao Gas expand its gas distribution network, and invested $10 million in Xinao Gas' equity. The International Finance Corporation is the private sector arm of the World Bank Group and is headquartered in Washington, D.C. IFC coordinates its activities with the other institutions of the World Bank Group but is legally and financially independent. Its 178 member countries provide its share capital and collectively determine its policies. The mission of IFC is to promote sustainable private sector investment in developing and transition countries, helping to reduce poverty and improve people's lives. IFC finances private sector investments in the developing world, mobilizes capital in the international financial markets, helps clients improve social and environmental sustainability, and provides technical assistance and advice to governments and businesses. From its founding in 1956 through FY05, IFC has committed more than $49 billion of its own funds and arranged $24 billion in syndications for 3,319 companies in 140 developing countries. IFC's worldwide committed portfolio as of FY05 was $19.3 billion for its own account and $5.3 billion held for participants in loan syndications. For more information, visit www.ifc.org. Lanhua Group has signed agreements with three partners to form joint ventures for coal-to-chemicals projects. These partners include Taiwan Hon Hai (鴻海) Group, Indonesia Sinar Mas (金光) Group and Hong Kong Huaming (華明) Group. Associate with partners respectively, Lanhua will build PP, POM, and mega Methanol/DME projects. Based on Jincheng (晉城) city, Shanxi Province, Lanhua is one of the Coal majors in China. Lanhua will conduct the feasibility studies with these partners and firm up details such as startup dates at next stage. Shanxi Lanhua Sci-Tech Venture Co., a subsidiary of Lanhua Group, has already started work on the project's first phase to build a 200,000 tonnes/year methanol unit and a 100,000 tonnes/year DME unit at Jincheng which will start up by the end of 2007. In order to control potential repeated investments on coal chemical projects in the future, China’s NDRC has given guideline for the minimum scale. Coal-to-liquids (CTL) projects should have a minimum capacity of 3 million tonnes/year; the capacities for each methanol or dimethyl ether (DME) plants should be at least 1 million tonnes/year; and coal-to-olefins (CTO) unit should be 600,000 tonnes/year or more. The 640 000 t/a ethylene cracking unit, a core facility in the ethylene expansion project (from 360 000 t/a to 1.0 million t/a) in Maoming Petrochemical Company Ltd.(MPC), completed intermediate handing-over and started production preparations on July 28th. It shows that the 1.0 million t/a ethylene expansion project in the company has been completed. It is also the first 1.0 million t/a ethylene production base in China. On September 17th, 2006, the 640 000 t/a ethylene cracking unit, a core facility in the ethylene expansion project (from 360 000 t/a to 1.0 million t/a) in Sinopec Maoming Petrochemical Company Ltd. (MPC), successfully conducted wet commissioning in Maoming, Guangdong province. It shows that the China｡ｯs first million t/a ethylene production base comes into reality. Maoming Petrochemical Co., a subsidiary of Sinopec, has started up its new 640 000 tonne/year cracker and produced on-spec ethylene product in Maoming, Guangdong Province. Maoming Petrochem got approval from NDRC for this new ethylene project in Q4 2003, and started construction in Dec. 2004. Originally, Maoming planned to expand ethylene capacity to 800 000 tonne/year from nameplate capacity 360 000 tonne/year, while the project was revised later, and Maoming expanded nameplate capacity to 1 million per year by built a new 640 000 unit. Earlier, Maoming Petrochemical had started up the derivatives projects for the cracker, which include a 350 000 tonne/year HDPE unit, a 300 000 tonne/year PP unit and a 150 000 tonne/year butadiene unit. The company has also up its BTX capacity to 460 000 tonne/year from 150,000 tonnes/year, and is building a 250 000 tonne/year LDPE unit which is expected to start up in Q1 of 2007. Shandong Dongyue Chemical has started construction for its large scale organosilicon project in Zibo city, Shandong Province. The project will be located at Dongyue International Fluorine-silicone Material Industry Zone in Zibo city. With total investment of RMB 4.5 billion (USD 563 million), the company planned to build the project in two phases. In the first phase, Dongyue will build 200 000 tonne/year dimethyl dichlorosilane (DMCS) facility, and to be completed in December, 2007. And the second phase is expected to be completed by the end of 2009. The capacity of second phase is also 200,000 tonne/year. And the total planned organosilicon capacity of Dongyue Chemical is 400,000 tonne/year. Dongyue Chemical produces 120 000 tonne/year Methane Chloride (CClx), 100 000 tonne/year CHClF2（フロンR-22）, and Hydrogen Chloride (HCl); these products will be used for the organosilicon project. Over the past few years, the demand of Organosilicon Monomer and Organosilicon Materials growed 25% per year in China. In the future 5 years, demand for silicone products is forecasted to grow by around 15-20%/y in China. Global leading players speed up the investment in China market. Rhodia allied with China Blue Star planned a large-scale organosilicon plant in Tianjin; Located at Nantong, Jiangsu Province, GE Toshiba has planed its fourth organosilicon manufacturing plant in China; and recently, Dow Corning and Wacker Chemie have got the approval from the government for the Organosilicon jv project in Zhangjiagang, Jiangsu Province, and set up the jv company which named as Dow Corning (Zhangjiagang) Company Limited. "The coal liquefaction project will offer an efficient way to quench China's thirst for energy. It is conducive to reducing China's external dependence on crude oil," said Professor Lin Boqiang from Xiamen University in East China's Fujian Province. China began developing coal-to-liquid fuel technologies in the 1980s. The coal liquefaction project was given strategic significance in the mid-1990s, after China became a net oil importer in 1993, said Zhang Yuzhuo, deputy general manager of Shenhua Group, China's biggest coal producer. In 1999, China launched its first coal-to-liquid project in Pingdingshan, Central China's Henan Province. However, the project, with an annual capacity of 500,000 tons, came to an untimely end, because the type of coal proved unfit for liquefaction. In 2001, a high-tech research project, the 863 Programme, picked up the pace on coal-to-liquid fuel projects. Shenhua Group took the lead in the process. In August 2004, it embarked on an ambitious direct coal liquefaction project, the first of its kind in the world, in Ordos, northern China's Inner Mongolia Autonomous Region. The project is designed to have an annual capacity of five million tons. Estimated to cost 24.5 billion yuan (US$3 billion), it will be undertaken in two phases. The first, designed to produce 3.2 million tons of oil products, is scheduled for production by 2007. The second phase is scheduled for production by 2010, with a designed annual production capacity of 2.8 million tons. Other major coal producers have followed suit. In February 2006, a coal liquefaction project with a designed initial annual capacity of 160,000 tons was launched by Lu'an Group in Tunliu, Shanxi Province. Two months later, Yankuang Group initiated a huge two-phase coal liquefaction project in Yulin, Northwest China's Shaanxi Province, which will involve a total investment of 100 billion yuan (US$12.5 million). The project is expected to reach an annual output of 10 million tons of oil products by 2020. However, in addition to the three projects that have won the NDRC's approval, many other provinces and regions have blindly planned and built coal liquefaction projects in recent years. The businesses look forward to significant economic returns counting on the high oil price and the current low cost of coal, despite the impact on local resources and the ecosystem. The result a headlong rush to launch coal-to-oil projects across the country. It is reported that a total of 30 coal liquefaction projects across the country are either at the stage of detailed planning or feasibility studies. According to conservative estimates, the total capacity would exceed 16 million tons, and the total investment would exceed 120 billion yuan (US$15 billion). Insiders predict that China's annual oil output liquefied from coal will reach 50 million tons by 2020. In addition to domestic coal giants, foreign businesses with coal-to-oil know-how are also attracted by the promising business opportunities. On July 11, Shell Gas and Power Developments BV and the Shenhua Ningxia Coal Industry Co (Shenhua-Ningmei) signed an agreement on joint study of coal liquefaction technology in Yinchuan, the capital of Northwest China's Ningxia Hui Autonomous Region. Under the deal, the Anglo-Dutch company will work with Shenhua-Ningmei on the technological and commercial feasibility of launching an indirect coal liquefaction facility with a daily production capacity of 70,000 barrels of oil products and chemicals at the Ningdong coal mining centre. "Ningxia is not only rich in coal but in water and power supply, which are all important for the successful development of an indirect coal liquefaction project," said Zhang Wenjiang, chairman of Shenhua-Ningmei. Apart from Shell, many other foreign businesses have come to China seeking opportunities from coal-to-liquid fuel projects. In June 2006, South Africa-based Sasol, the world leader in producing fuel from coal, joined forces with Shenhua Group to establish two coal liquefaction plants in Northwest China. Chinese industry officials have appealed to authorities and business to keep cool about coal liquefaction. "Although coal liquefaction promises to help ease China's oil shortage, huge potential risks are involved in its mass production," said Professor Lin Boqiang from Xiamen University. In addition, the unchecked growth of the sector would damage China's already deteriorating environment, analysts said. Coal liquefaction consumes large amounts of water, and China especially its northern and northwestern regions is short of this resource. Developing coal liquefaction would greatly exacerbate such shortages. 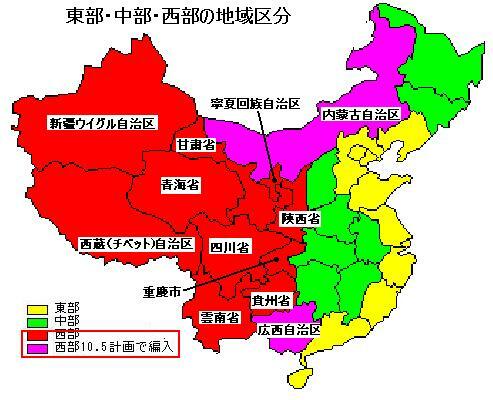 Apart from Yunnan and Guizhou provinces in Southwest China, most coal-rich provinces are short of water. In addition to its need for massive quantities of water, coal liquefaction discharges waste gas, waste water and industrial effluent, creating significant environmental risks. The profit margins of coal liquefaction projects are closely linked to the fluctuating international price of oil, which changes from year to year. A coal liquefaction project takes three to five years to build and operate. "Coal-for-oil technology will be economic if the crude oil price is higher than US$25 per barrel. In this sense, it will not face any risk in the near term," said Zhou Fengqi, a researcher with the Energy Institute of the NDRC's Macroeconomic Research Institute. "But it is hard to tell whether coal liquefaction projects will certainly profit. If the international oil price plummets in the future, the nation will suffer a lot," said Zhou. Other industry experts worry that China's coal resources are not so rich. Verified exploitable coal reserves were 188.6 billion tons at the end of 2002, but the average resource recovery rate was only 30 per cent. Calculated at an annual coal output of 1.9 billion tons, the reserves would last only 30 years. "In fact, investment in coal liquefaction incurs a high risk when the industry remains in its infancy. Coal liquefaction should spread only after the success of trial efforts," said Professor Lin Boqiang. The NDRC concluded that during the period of the 11th Five-Year Plan (2006-10), the coal liquefaction industry should be developed smoothly and steadily. China is to start construction of its largest dimethyl ether (DME) project with an annual output of three million tons to reduce rising oil consumption. Coal-based DME is a clean-burning alternative to liquefied petroleum gas, liquid natural gas, diesel and gasoline. Located in Ordos city of north China's energy-rich Inner Mongolia Autonomous Region, the project will cost 21 billion yuan (2.6 billion U.S. dollars), the Shanghai Securities News reports. Compared with the current annual output of 120,000 tons of DME each year, the project will make a huge difference to China's alternative energy sector, said a statement from the National Development and Reform Commission (NDRC). A pipeline will be built to transfer the DME from Ordos to the port city of Tangshan 唐山in north China's Hebei Province. This would then enable it to be shipped to provinces in east and south China which are crying out for energy sources. The participants in the project include power giants China National Coal Group Corporation (ChinaCoal), China Petroleum and Chemical Corporation (SINOPEC) and the Shanghai-based Shenergy Group. Facing oil shortages, China is speeding up efforts to develop an oil substitution program to reduce its reliance on oil imports and offset the effects of rising oil prices. But as a sustained coal supply has remained a challenge for China, NDRC has banned any coal-based DME project with a design capacity lower than one million tons. The National Development and Reform Commission announced on August 11th that the project of 3.0 million t/a dimethyl ether and matched facilities in Erdos of Inner Mongolia, jointly funded by China National Coal Group Corporation, Sinopec Corp., Shenneng (Group) Co., Ltd., China Yintai Investment Co., Ltd. and Inner Mongolia Man Shi Coal Group Co., Ltd. has established its engineering group. The total investment of the project is around RMB21.0 billion and the equity split of partners is 32: 32.5: 12.5: 12.5: 10. It is a dimethyl ether project with the biggest scale and the largest investment in China today. Production is expected to start around 2010. The project includes 20 million t/a coal mining, 4.2 million t/a methanol, 3.0 million t/a dimethyl ether and 2X135MW power plant. What is the most attractive is that a long-distance transmission pipeline from Erdos to Beijing and Tangshan Port will be constructed. Cabot Corporation announced today the start-up of its new, world-class carbon black facility located in Tianjin, China. The state-of-the-art facility is a project of Cabot Chemical (Tianjin) Co., Ltd., an equity joint venture between a Cabot subsidiary, Cabot (China) Limited, and Shanghai Coking Chemical Company, a member of the Huayi Group. Cabot Chemical (Tianjin) Co., Ltd. invested approximately US$60 million to construct the plant with an annual capacity of 105,000 metric tons. The new facility includes two production units that utilize the latest Cabot manufacturing technology incorporating advanced environmental systems for both energy recovery and flue gas de-sulphurization. Both new units are operating at full capacity to support the growing demand in the China market. The facility includes two production units, one of them has capacity of 61 000 tonne/year and has been completed on Feb. 2006. The newly added is second carbon black unit, it has capacity of 44 000 tonne/year, and which make the total capacity of Cabot reached 105 000 tonne/year in Tianjin Economic Development Area (TEDA), Tianjin city. Cabot Corporation announced today the start-up of China's first world-class fumed silica manufacturing facility located in Jiangxi Province, China. The facility is a project of Cabot Bluestar Chemical (Jiangxi) Company Ltd., a joint venture between a Cabot subsidiary, Cabot (China) Limited, and Bluestar New Chemical Materials Co., Ltd., a member of the ChemChina Group. Cabot Bluestar Chemical (Jiangxi) Company Ltd. invested approximately US$27 million to construct the plant with an annual capacity of 4,800 metric tons. Solvay announces today that it has signed an agreement with Zhejiang Lantian Environmental Protection Hi-Tech Co. Ltd for the creation of a joint venture for the production and supply of hydrogen fluoride (HF　ふっ化水素), an essential building block for many high-value added fluorinated products. Pending the relevant regulatory approvals, the joint venture is scheduled to start operating in 2007, under the name Zhejiang Lansol Fluorchem Co. Ltd. The production unit, with a total annual production capacity of 20.000 tonnes, will be located in the Zhejiang Quzhou 衢州Hi-Tech Industrial Park, some 500 kilometres south-west of Shanghai. Lantian will own 70% of the joint venture, while Solvay will hold the remaining 30%. Nanning Chemical Co., Ltd.（南化） announced on August 4th that it has decided to to purchase 100% equity from Nanning Chia Tai Building Material Co., Ltd. with RMB140 million. Nanning Chemical Co., Ltd. is the biggest comprehensive chemical enterprise in Guangxi 広西自治区. It mainly produces caustic soda, hydrochloric acid, liquid chlorine and PVC. Nanning Chia Tai Building Material Co., Ltd. owns a capacity of 500 000 t/a cement. It is close to Nanning Chemical Co., Ltd. and has advanced equipment and large production site. After the purchase, Nanning Chemical Co., Ltd. will conduct technical renovation to the cement production line in Nanning Chia Tai Building Material Co., Ltd. so as to satisfy the requirements in the treatment of calcium carbide residues from Nanning Chemical Co., Ltd. The capacity of cement in Nanning Chia Tai Building Material Co., Ltd. will hopefully reach 800 000 t/a at that time. Not only calcium carbide residues from Nanning Chemical Co., Ltd. can be effectively used, the high-load production of PVC can also be ensured and the capacity of cement can increase. Nanning Chemical Industry Company Limited. The Group's principal activities are the research, development, manufacture and sale of chlorine and alkali chemical products, farm chemicals, disinfectants, non-organic and organic chemical products. Other activities include technological consultancy, domestic trade and import and export. Major products include trichloroisocyanuric acid, crystal sorbitol, sodium diacetate, calcium acetate, ethyl sorbate, sorbic acid, potassium sorbate, dipterex powder, polyvinyl chloride resin powder, chloroacetic acid and dihydro-terpineol. Recently, PetroChina has pushed forward for its 3 large-scale projects in northwest and northeast China. In northwest China, PetroChina Tarim (塔里木) Petrochemical Co, has broke ground for the large-scale ammonia-urea project. The gas-based project located at Korla (庫爾勒), Xinjiang, will produce 450,000 tonne/year of ammonia and 800,000 tonne/year of urea. In northeast China, Dalian Petrochemical, a subsidiary of PetroChina, has successfully started up new PP plant, and produced on-spec products in Dalian, Liaoning Province. Propylene feedstock comes from the company’s 20.5-million tonne/year refinery, which has been expanded from 10.5-million tonne/year in Q2 of 2006. Currently, the company also operates two other PP units with the capacity of 120,000 tonne/year, one is 50,000 tonne/year and another is 70,000 tonnes/year in Dalian. * Dalian Petrochemical has three PP units, there are 70 kt/y, 50 kt/y and 20 kt/y; while usually the 20 kt unit is mothballed as the efficiency of this unit is relative low. Also in northeast China, PetroChina has broke ground for Fushun refinery-cracker project in Fushun city, Liaoning Province. After completion, PetroChina Fushun Petrochemical Co. will boost refining and ethylene capacities to about 11.5 million tonne/year and 1 million tonne/year respectively. According to the planning, the core refinery units will start up in September 2008 while the rest of the refining units are scheduled to start up in June 2009, and the cracker and its downstream units will start up in June 2010. * Currently, Fushun Petrochemical has nameplate refining capacity of 9.2 million tonne/year. The company processed 9.0 million tone crude oil in 2004 and 9.6 million tonne in 2005. Univation Technologies announced that China Petroleum &Chemical Corporation (SINOPEC CORP) has selected the UNIPOL PE process for a 450 kilo-tonnes-per-year polyethylene plant at its affiliate, Sinopec Zhenhai Refining and Chemical Company Ltd., in Ningbo, People's Republic of China. On August 28th, 2006, Chenguang Research Institute of Chemical Industry held the groundbreaking ceremony for its 4 000 t/a fluororubber project at Chemical New Material Zone of Chenguang Industry Park in Zigong 自貢, Sichuan province. With a total investment of RMB150 million, the project has the largest fluororubber unit in China today. Chenguang Research Institute of Chemical Industry , as a large chemical base and ISO9001 certified enterprise in China, has been engaged in researching and producing polymers and synthetic materials since 1965. We mainly deal with technical development, application research and production of silicones, fluoropolymers, special resins and adhesives, machinery for plastics processing,and anti-corrosion chemical equipments, etc..
China Datang Corp. has licensed Dow Chemical's Unipol polypropylene (PP) process technology for its new PP facility in Inner Mongolia, China, Dow says. The plant will produce homopolymers, random copolymers, and impact copolymers, and will have annual capacity of 500,000 m.t./year, Dow says. Shanghai Coking has a coal-based methanol plant in Wujin which has the capacity to produce 350,000 mt/year. DMTO technology is developed Dalian Institute of Chemical Physics (DICP) - a subsidiary of CAS, which uses methanol or DME to produce ethylene or propylene. Methanol and DME are made from coal or nature gas resources, so, it can be the substitute of conventional Crude Oil and naphtha route to produce olefins and it is competitive in the high oil price market condition. This DMTO pilot unit is s jointly constructed by Shaanxi Xinxing Coal Chemicals Company, and Luoyang Petrochemical Engineering Company ? a subsidiary of Sinopec, it can process methanol 50 tonne/day. According to CAS, through the DMTO technology, about 3 tonne of methanol could produce 1 tonne olefin, with a more than 99% conversion rate and the selectivity of ethylene/propylene is more than 78%. Following UOP/Hydro and ExxonMobil, DICP is the third organization owned MTO technology in the world. DMTO technology provides a new way for the development of petrochemical industry and will license to the coal chemicals investors in China soon. China's Ministry of Finance, the National Development and Reform Commission, the Ministry of Commerce, the General Administration of Customs and the State Administration of Taxation has jointly announced the cut down on rebates rate of export tax for some products in China, which effective on Sep. 15. These products include steel, ceramics, textile, furniture, plastics and so on. The reduction of export tax rebates on plastics, which include PE, PP, PVC, PS, PET and PC, is from 13% to 11%. Rebates of textiles are also reduced to 11% from 13%. Also, government has abolished tax rebates for silicon paraffin wax, coal and natural gas. According to the analyst, China lower export tax rebates for the products aimed to reduce the financial burden on government, and to improve industrial structure and to keep the balance between imports and exports, and then reduce the trade surplus. The move would also be in line with its 11th five year plan (2006-2010), which will focus on domestic demand for economic growth. For chemicals exporter, however, would be impacted by this move, as the reduction of export tax will raise costs and cause higher export prices, and then reduce the competitiveness of exports. On Sep 14, Circular on China's Tax-refund Policy for Export was issued jointly by MOF, NDRC, MOFCOM, GAC and STA of China. Tax-refund rate of some exports were readjusted and supplement forbidden commodity catalogue of processing trade. Circular noted that, the readjustment on tax-refund for export and tax policy of processing trade was one of the overall measures for macro control policy implemented by State Council in 2006. It was advantageous for further optimizing industrial structure, promoting growth pattern of foreign trade, and pushing equal development of foreign trade. First it issued that, excluding non-metal minerals like salt and cement, canceling refund tax-refund policy for exports in the 25th article (関税番号25xx）of customs import and export tariff, including coal, natural gas, olefin, asphaltum, silicon, srsenic, stone material, ferrous metal, scrap, 25 kinds of pesticide and medical intermedia, leather product, lead storage battery, mercury oxide battery, thin goal wool, Charcoal, rail sleeper, cork product, primary wooden product, etc. and reduced from 17% to 13% of handcart and parts. Thirdly, tax-refund rate for export increased from 13% to 17% on significant technical equipment, some IT product, biological medical product and high-tech product which encouraged exporting by national industrial policy. And tax-refund rate of exporting processing product with agricultural material increased from 5% or 11% to 13%. The Circular made it clear that listing canceled tax-refund export before and this time in forbidden catalogue of processing trade. Collected import tariff and import linkage tax on all commodities listed in forbidden catalogue of processing trade. A signing ceremony for jointly building a fluoride chemicals base at Jianyang, Fujian province, southeast China was held between Fujian Jianyang Municipal Government福建省建陽市, Sinochem Shanghai Corporation and Hangzhou Kings Industrial Co., Ltd. on September 9th, 2006. Sinochem Shanghai, which is directly subordinate to Sinochem Corporation that is one of top 500 companies of the world, plans to invest RMB50 million within 1 - 2 year for building anhydrous hydrogen fluoride (HF) facility with a capacity of 15 000 t/a, and spend RMB150 million in next 3 - 5 years for constructing electronic application grade HF project with a capacity of 2 000 t/a and a 5 000 t/a fluoro-benzene unit. Sinochem Shanghai plans to further input RMB200 million in building intermediates production lines for fluoro-based pharmaceutical and pesticide. Headquartered in Hangzhou （杭州）of Zhejiang province, Hangzhou Kings Industrial Co., Ltd. is a private company and establishes Fujian Kings Fluoride Industry Co., Ltd. after purchasing Jianyang Fluorite Mine. Fujian Kings Fluoride Company is a leading fluorine producer in Fujian province. It owns a fluorite mine, a fluorite flotation plant, a HF manufacturing plant and a fluorine products factory. The capacities are 15 000 t/a of HF, 8 000 t/a of fluoride products, 50 000 t/a of acid grade fluorite powder, and 80 000 t/a of metallurgical grade fluorite ore.
On September 12th, 2006, the CNOOC Oil Base Group Limited (CNOOC Oil Base), a subsidiary of China National Offshore Oil Corporation (CNOOC) signed an agreement with Panzhihua Municipal Gorvernment 四川省攀枝花市 on "Jatropha-based biodiesel production project in western Panzhihua". Under the agreement, both parties will develop the jatropha forest with the planting land area of 33 thousand hectares further expansion to 480 thousand hectares from the existing 15.9 thousand hectares, for building biodiesel production base with the capacity of approximately 100 000 t/a. The project is expected to invest around RMB2.347 billion. The 1.2Mt/y plant is expected to start operations in 2008. CVRD will have a 25% stake in a new joint venture company, Zhuhai YPM (ZYPM), through its subsidiary iron ore miner MBR. Other partners are Zhuhai Yueyufeng Iron and Steel plus Pioneer Iron & Steel (PSG) with 40% and 35% respectively. The Brazilian miner is due to invest US$4mn in the project and supply at least 70% of the iron ore to feed the pellet plant over a 30-year contract period. "The initiative illustrates CVRD's strategy to support the development of the steel industry in China," the miner said. Despite the project's small size, CVRD's move into China is positive as a means to strengthen its position in the Asian country, Daniel Lemos, an investment analyst with Brazilian brokerage Socopa, told BNamericas. "I believe the announcement is positive because CVRD will enter [a project] in China, its strongest market, rather than the business project itself," the analyst said. Furthermore CVRD could develop a similar project in China, Lemos said, adding the JV project size is not very significant for CVRD, the world's biggest iron ore producer. With a total investment of RMB760 million, the 320 000 t/a acrylonitrile expansion project started construction in Jilin Petrochemical Company Ltd. (JPC). After the completion, the project will help the company increase its sales revenue and profit by RMB1.161 billion and RMB159 million respectively. Acrylonitrile has always been a major product but the existing acrylonitrile capacity was 66 000 t/a in JPC. After 3 large-scale renovations, the acrylonitrile capacity reached 212 000 t/a at the end of 2003. The expansion project adopts world's advanced process and technology, matched with tail gas recovery system and sulfuric acid production unit from waste water. Jihua (吉化 Jilin Chemical) Group, a subsidiary of PetroChina, has started ANM expansion project in Jilin City, Jilin Province. With the investment of USD 95 million (RMB 0.76 billion), Jihua will expand its ANM capacity to 320 000 tonne/year from 212 000 tonne/year. The project is expected to complete by the end of 2007. Originally, Jihua had ANM capacity of 66 000 tonne/year, and then it was expanded to 212 000 tonne/year in 2003. After the ongoing expansion, Jihua will exceed Secco, become the largest ANM producer in China. Currently, with capacity of 260 000 tonne/year, Secco is the top ACN producer in China. Feedstock of propylene will be partly sourced from Daqing Petrochemical, which is another subsidiary of PetroChina, while the ANM product will supply to the planned ABS project. Jihua plans to expand the ABS capacity to 540 000 tonne/year from the currently 180 000 tonne/year, by building a new 360 000 tonne/year ABS project. In 2005, the total ANM capacity reached 1 million tonne/year. Approximately, China produced about 870 000 tonne and consumed 1.15 million tonne ANM product at the same year. On September 18th, 2006, ChinaSalt Zhenjiang Salt Chemical Co., Ltd.(ChinaSalt Zhenjiang), a subsidiary of China National Salt Industry Corporation (ChinaSalt) signed a cooperation agreement on building a Salt Alkali Integrated Project, with Shanghai Chlor-Alkali Chemical Co., Ltd. and Zhenjiang Municipal Government. Located in Dantu District, Zhenjiang of Jiangsu province, occupying 96 hectares, the Salt Alkali Integrated Project will conduct in two phases with an investment of RMB2.8 billion. Its first phase will build 1 million t/a vacuum salt 真空塩 facility, 100 000 t/a diaphragm 隔膜法 caustic soda unit and matching facilities. The second phase will construct a new 150 000 t/a ion membrane caustic soda unit and 100 000 t/a epoxypropane unit. ChinaSalt Zhenjiang engages in the production and sale of liquid salt and vacuum salt, its 85% equity controlled by ChinaSalt, that is a leading salt producer in China across Asia with the salt output of approximately 10 million tons. Shanghai Chlor-Alkali is a leading chlor-alkali chemical manufacture in China and experiences in salt chemical. Established in 1950 and monopolizing the nation's table salt production and operation, China National Salt Industry Corporation is China's largest salt producer and seller and it's the only salt enterprise directly owned by the central government. As a state-owned central enterprise, China National Salt Industry Corporation commits to China's table salt monopolization as well as production and operation of salt and salt chemicals. Even since its establishment, China National Salt Industry Corporation has been playing an administrative role for the salt industry and promoting the industry to develop in a sustainable, steady and healthy way. Since the 1990s in particular, it has organized China's salt industry in carrying out the table salt monopolization policy to ensure the national supplies of iodized salt, making considerable outstanding contributions for fighting the hazard of iodine deficiency in a sustainable way, with remarkable achievements recognized both at home and abroad. At the same time, it has kept pioneering and innovating, accelerating its development speed and trying to become bigger and stronger. By June 2005, China National Salt Industry Corporation has a total assets of RMB10 billion, an 10-million-ton production capacity of various salt products and a 1.4-million-ton table salt wholesale capacity, ranking the first in Asia, along with a more than 500,000 ton production capacity for various salt chemical products, ranking top of the world in terms of metallic sodium production capacity. With years of high-speed development, China National Salt Industry Corporation has owned 31 wholly-owned and holding subsidiaries, including 9 rock salt enterprises, one lake salt enterprise, 2 sea salt enterprises, 9 salt wholesalers and distributors, 9 research institutions and 8 other enterprises, basically growing into a large-scale group of salt enterprises with a sound resource configuration, optimized structure integrating production, supply, sales, technology, industry and trade. To promote development of China's salt industry, optimize resources configurations for salt industry and improve the industry's business planning efficiency and international/home market competitiveness, after years of preparation and capital operation by China National Salt Industry Corporation, China National Salt Group has been formally established with China Salt Industry Corporation as its parent company. The new group has now 64 enterprises, including 31 provincial salt companies and 33 for-profit and non-profit organizations, with a total assets of RMB24 billion, an annual sales income of RMB14.5 billion and 128,4000 employees, accounting for more than 50% of the nation's salt outputs. For the new century, China National Salt Industry Corporation has established the "two-step" development target, with maintaining table salt monopolization as its mission, enabling high-speed development as its focus, boosting economic efficiency as its core, market demands as its orientation, industrial structure upgrade as its main line, integrating the industry resources and accelerating capital operation and expansion as its means and deepening reforms and scientific and technological advances as its driving force, to operate fully in accordance with scientific development views, promote system, mechanism, management and cultural innovations, take an intensive and sustainable development road for the new-type industrialization, and build itself into the world's first-class salt and salt chemical enterprise with two 3-5 year periods. ChinaCoal has acquired Harbin Coal Chemical Company, for the planning of Coal to Olefins project in Harbin, Heilongjiang Province. Currently, Harbin Coal Chemical company produces 140 000 tonne/year of methanol from coal. ChinaCoal aims to boost methanol production at the facility to 2 M tonne/y from 140 000 tonne/year and to build methanol to olefins (MTO) project with 600 000 tonne/year of olefin capacity by 2009. The Harbin MTO project will use DMTO technology, which is developed by Dalian Institute of Chemical Physics (DICP) - a subsidiary of Chinese Academy of Sciences. Following Shenhua, ChinaCoal is the second largest Coal producer in China. Sinopec's Dongxing in South China's Guangdong Province expects to complete construction of its 150,000 mt/year benzene unit at the end of 2006, a company source said on late Monday. Commercial output from the new plant is expected during the first quarter of 2007. Dongxing refinery was acquired by Sinopec, one of China's two largest state-owned oil and petrochemical companies, in early 2002. On October 22nd, 2006, the 130 000 t/a acrylates project completed in Shenyang Paraffin Chemical Industrial Company Ltd.(SYPC), a subsidiary of Shenyang Chemical Industrial Group Corp. in Shenyang Economic and Technological Development Area, Liaoning province. The project makes uses of propylene raw material manufactured in SYPC and imports key acrylic acid and acrylate technology from Mitsubishi Chemical Corporation of Japan. With a total investment of RMB1.29 billion, an 80 000 t/a acrylic acid unit and two acrylate units with a total capacity of 130 000 t/a has been built, including 10 000 t/a methyl acrylate, 10 000 t/a ethyl acrylate, 80 000 t/a butyl acrylate and 20 000 t/a 2-ethylhexyl acrylate and etc. Blue Star's subsidiary, Shenyang Paraffin Chemical Co., Ltd. is a new type petrochemical enterprise with a total asset of 13.6 RMB billion, a debt of 4.4 RMB billion and an asset-liabilities ratio of 32.68%. With a total staff of 1,077, the company mainly produces chemical raw materials such as liquid paraffin and propylene and adopts the advanced DCC-�Uas the main setting for catalyzing and cracking----the first normal pressure residual oil catalyzing and cracking industrialized setting in China. On October 16th, 2006, the ethylene unit - a leading facility of the 600 000 t/a ethylene expansion project (from 240 000 t/a to 600 000 t/a), successfully conducted intermediate handing-over in CNPC Lanzhou Petrochemical Company Ltd. in Xigu district of Lanzhou, Gansu province. The ethylene expansion unit has a total investment of nearly US$2 billion. Therefore, sound foundation has been laid for the ethylene unit to conduct wet commissioning. With a total investment of US$6.296 billion, the 600 000 t/a ethylene renovation and expansion project was approved by the National Development and Reform Commission on November 28th, 2003 and started construction on April 8th, 2005. Planned to put on stream in the fourth quarter of 2006, the 600 000 t/a expansion ethylene project includes 6 key chemical units - an 450 000 t/a ethylene unit, a 200 000 t/a LDPE (low density polyethylene) unit, an 300 000 t/a all-density polyethylene unit, a 300 000 t/a polypropylene unit, a 90 000 t/a C4 -based butadiene extraction unit and a 200 000 t/a gasoline hydrogenation unit. On October 23rd, 2006, Chin National Offshore Oil Corporation (CNOOC), the state-owned oil company, announced that it has acquired the state-owned China National Chemical Construction Corporation (CNCCC). The deal has gained the approval by the State-owned Assets Supervision and Administration Commission (SASAC). Established in 1982 and headquartered in Beijing, CNCCC is an export-oriented group company that mainly involves in chemical industry with integration of international trade, research & development, production, engineering design, contracting service and warehousing. CNCCC has its own export production bases and compound fertilizer plants. As of December 31st, 2005, CNCCC's audited total assets and net assets were approximately RMB2.7 billion and RMB1.1 billion respectively with the 2005 sales of RMB4.2 billion. CNOOC is the third oil company and the largest offshore oil and gas firm in China. CNOOC generated sales of RMB88.8 billion in 2005. At the end of 2005, its total assets and net assets reached RMB191.4 billion and RMB105.5 billion respectively. The restructuring of two state-owned companies is an asset rearrangement by SASAC, and involves no financial transactions. Temporary tariffs on 110 export categories of products, which are energy guzzling, or experts have hailed resource-intensive as a major step towards optimizing the national energy structure. The regulation, which was issued over the weekend and takes effect tomorrow, will also help curb the country's soaring trade surplus, the Ministry of Finance said. 5 per cent on oil, coal, coke and crude oil. 10 per cent on non-ferrous metals, various types of minerals such as apatite and rare earth minerals as well as iron alloy, raw iron, steel billets and 27 other iron and steel products. Wooden flooring, disposable chopsticks and 19 other goods will be taxed at the same rate. 15 per cent on copper, nickel and other metallurgical products. "It is a very positive move, which is designed to enhance energy efficiency, optimize the national energy structure and rationalize energy- and resource-intense sectors," Zhou Dadi, director of the Energy Research Institute affiliated to the National Development and Reform Commission, told China Daily. Meanwhile, import taxes on 58 categories of commodities will be reduced. Rates on 26 energy and resource products, such as oil, coal and alumina, will be cut from 3-6 per cent to 0-3 percent. The policy is expected to rein in exports, which rely heavily on energy and resources, while encouraging their imports, Zhou said. He expects to see results within this year. "Rather than administrative and regulatory mandates, the authorities used a market mechanism to restrain exports of certain commodities of strategic importance and put a brake on the development of energy-intensive industries," Zhou said. Although some enterprises may suffer from higher export costs, the policy will boost energy efficiency and keep manufacturers away from energy-intensive sectors, Gong Jinshuang, a senior researcher with China National Petroleum Corp, noted. Some enterprises are already prepared. "We will certainly witness our exports affected by the new policy. We will adjust our business structure to cushion the negative effect," a manager with Sinochem Guangzhou Import and Export Corp said on condition of anonymity. China's trade surplus hit a new high of 109.85 billion U.S. dollars in the first three quarters of the year amid concern over disputes with its major trade partners and over-exploitation of resources. Last month, the government cancelled or lowered export tax rebates on hundreds of products. China International Trust and Investment Corporation （CITIC Group:中国中信集団）plans to purchase Nations Energy Co.’s oil assets in Kazakhstan for US$1.91 billion, the company said on October 26th, 2006. The acquisition is only of Canada-based Nations Energy's biggest asset, the Karazhanbas field in Kazakhstan, which has proven oil reserves over 340 million barrels, and current oil output of more than 50 000 barrels a day. was founded in 1996 as a private Canadian company to pursue international oil and gas exploration and production projects. JSC Karazhanbasmunai, a 94.6% owned subsidiary in Kazakhstan, was purchased in 1997 where it has grown from an average of 4,900 bpd in 1999 to over 50,000 bpd at the end of 2004. In 2003, Nations Energy started additional oil field activity in Azerbaijan. In 2003, Nations also invested in a publicly traded Canadian company with oilfield activity in California, USA. China's CITIC Group announced on Sunday that it has successfully acquired the Kazakhstan oil assets of Canada's Nations Energy Company Ltd. for 1.91 billion U.S. dollars. It is the third largest overseas oil acquisition made by a Chinese company. CITIC has acquired 100-percent ownership of Nations Energy, after the Canadian company sold its non-Kazakhstan assets under an agreement signed in October. The acquisition allows CITIC to develop the Karazhanbas oil and gas field in Mangistau Oblast until 2020. It has proven reserves in excess of 340 million barrels of oil and produces more than 50,000 barrels a day. Under the approval of the Kazakhstan regulatory authorities for the acquisition, CITIC has granted KazMunaiGas (KMG), the state-owned oil company of the Republic of Kazakhstan, an option under to buy 50 percent of Nations Energy. The option is exercisable within one year and the price is based on CITIC's acquisition price. Nations Energy's Kazakhstan oil assets include the wholly owned Argymak Trans Service LLP, which provides transport services, and Tulpar Munai Services LLP, providing drilling and training services. CITIC said in October that it planned to buy Nations Energy's Kazakhstan oil assets for 1.91 billion US dollars. "We will focus on cooperating with Nations Energy's current oil customers, suppliers and partners, and there are no clear plans to sell oil to China," said an insider, who would only give his surname Lu. The deal would help CITIC develop its petroleum and natural gas business, said Kong Dan, chairman of the CITIC Group. "It will provide CITIC with an important base from which it can expand its energy business in Kazakhstan, the most important petroleum producer in Central Asia," Kong said. He said the takeover was a good opportunity for CITIC to diversify its investments and business in Kazakhstan. CITIC said earlier that it was planning a feasibility study on developing local oil refining and was looking for partners in other sectors such as construction and financing. Established by late Chinese Vice President Rong Yiren, CITIC is a transnational conglomerate involved in finance, energy, industrial investment, information technology, real estate, and service industries. Growing overseas operations and China's rising demand for energy have prompted domestic enterprises to search for overseas oil assets. China National Petroleum Corporation (CNPC), China's largest oil producer, closed its acquisition of Canada-based Petro Kazakhstan Inc. (PK) for 4.18 billion U.S. dollars on Oct. 27 last year. It remains the largest overseas takeover transaction ever made by a Chinese company. The deal was considered an important step for China to diversify its overseas oil business by turning from traditional partners in the Middle East and Africa to Central Asia. In April, China National Offshore Oil Company Limited (CNOOC Ltd.), the country's leading offshore oil producer, acquired a 45-percent working interest in an offshore oil field in Nigeria, for 2.69 billion U.S. dollars. According the National Bureau of Statistics, China produced 168.42 million tons of crude oil in the first 11 months, up 1.6 percent from the same period a year ago. Data from the General Administration of Customs shows China's imports of crude oil rose by 15.6 percent to 133.6 million tons in the first 11 months, and oil products, up 21.1 percent to 34.24 million tons. China imported 118.75 million tons of crude oil and 17.42 million tons of oil products in 2005, with the dependency rate on imported oil reaching 42.9 percent. The first transcontinental container train running between north China to Germany has begun formal operation after a 20-month test run, said a local railway official. The train, which can carry 100 international standard containers, will travel 9,814 km over 15 days through six countries from Hohhot（フフホト：呼和浩特）, capital of north China's Inner Mongolia Autonomous Region, to Frankfurt in Germany. Named "Ruyi"（如意）, which means "complying with one's wishes" in Chinese, the train had run the route 13 times since tests began in March last year, said Yang Junjie, an official with the Hohhot Railway Bureau. The train would cut transport times and costs, said Guo Jian, another official with the Hohhot Railway Bureau. Ruyi took just 14.5 days to run from Hohhot to Duisburg in Germany, while a container ship took at least 40 days, said Guo. Launched by companies in China's Inner Mongolia, Mongolia, the Republic of Belarus, Russia and Germany, the transnational train would take coke to Duisburg, andalusite to Slovakia and home appliances to the Czech Republic and Romania. It would bring back raw materials for electronic products and home appliances. With an annual freight capacity of 2,500 containers, or 50,000 tons, the train will operate twice a month. It had taken 620 standard containers, weighing 12,400 tons, holding rare-earth minerals from Inner Mongolia, rapeseed from northwest China's Gansu Province and textiles from south China's Guangdong Province, to Europe to date, said Yang. Europe, will shorten the transportation cycle from two months to 18 days. Yichang silicon material production base with a capacity of 5 000 t/a high-purity polycrystalline silicon broke ground in Yichang of Hubei province 湖北省宜昌市 on October 22nd, 2006. The project has a total investment of RMB6.0 billion. It is reported that CSG Holding Co., Ltd., Hong Kong Huayi Co., Ltd. and Yichang Liyuan Science & Technology Development Co., Ltd. have jointly funded the project. The planned area of the project is 1 500 mu and the total capacity is 5 000 t/a high-purity polycrystalline silicon. The output target for the first phase is 1 500 tons of high-purity polycrystalline silicon a year. The first phase with an investment of RMB780 million will be completed in two years. The Group's principal activities are the manufacturing of glass products. Other activities includes production of ceramics products and property development. Glass products accounted for 92% of 2002 revenues; ceramics products, 4% and property development, 4%. Established in 1992, Hua Yi Industrial Ltd is one of the leading enterprises of giftware in China supplying specialized appliance for business and homes. On Nov. 6th (Monday), Zhenhai Refining and Chemicals Company (ZRCC), a subsidiary of Sinopec, has held a ceremony for the kick-off of its 1 million tonne/year ethylene cracker in Zhenhai, Ningbo, Zhejiang Province. Originally, ZRCC planned to build an 800 000 tonne/year, while it revised capacity to 1 million later. Total investment is around USD 2.75 billion (RMB 22 billion), the project is expected to start up in Q4 of 2009 or Q1 of 2010. Naphtha feedstock will be self supplied. ZRCC has hiked refining capacity to 20 million ton per year, so, it can ensure sufficient naphtha feedstock for the new cracker and without any impacts to the supply for SECCO. Currently, ZRCC sells 1 million ton per year naphtha by pipeline for SECCO's 900 000 tonne/year cracker in SCIP. The company also plans to set up a 50:50 jv with Lyondell to build SM/PO and propylene glycol (PG) projects. Lyondell is the SM/PO technology provider.